California is fortunate to have Dr. Jorge Dubcovsky leading the Wheat Breeding Program and Molecular Genetics laboratory at the University of California, Davis. You can view some of his lab’s accomplishments on his website: please click here. 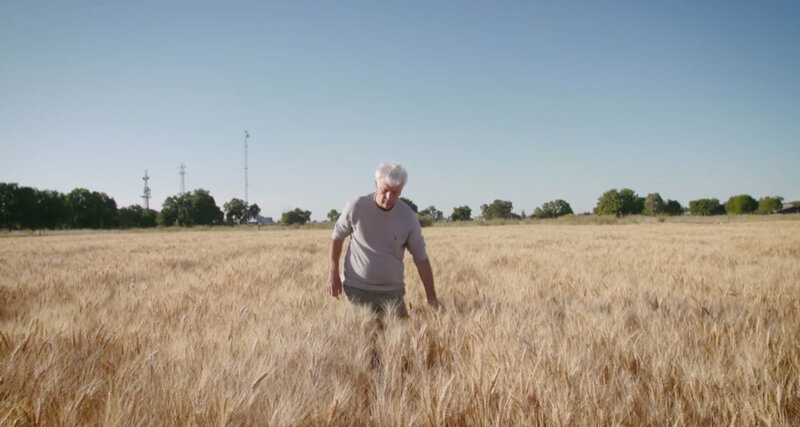 Dubcovsky, originally from Argentina, is a world-renowned wheat breeder. He is a member of the National Academy of Science, a recipient of the Wolf World Award in Agriculture, and the Project Leader of a five year, $25 million grant awarded by USDA’s Competitive Grants Program. The Triticeae Coordinated Agricultural Project (T-CAP) is developing methods and new cultivars to minimize the damage of climate change on crop production. Their long-term objective is a 10% reduction in both nitrogen and water use in barley and wheat production through the development of improved varieties adapted to the climate of the coming century. TCAP is also helping to train wheat breeders in universities across the country. The California Wheat Commission was the industry partner for two 4-year grants awarded to Dr. Dubcovsky under the U.C. Discovery Grant program. The first 4-year grant, ending in 2010, was titled “Molecular tools to engineer California wheat varieties resistant to stripe rust (Puccinia striiformis)”. The purpose of this grant was to use molecular markers to map stripe rust resistant genes and, as a result, several new genes for stripe rust were discovered. Most of the wheat varieties now marketed in California are resistant to stripe rust. This grant was matched dollar-for-dollar by the State, with $610,800 total funding for the wheat breeding program. The second 4-year project, which completed in 2014, was titled “Improving California Wheat Quality and Nutritional Value” and included research on reducing cadmium uptake in Durum wheat, increasing the concentration of resistant starch in the grain, and increasing grain protein concentration and quality. The Commission’s total 4-year funding was $480,000 ($120,000/year) and was matched by $336,000 of additional funding from the State of California. With the end of the shared funding available under the Discovery Grant program, the Commission increased its funding for the wheat breeding program to $195,000 for FY17/18 and $198,000 for FY 18/19. Funding decisions are made at the Commission’s April meeting.